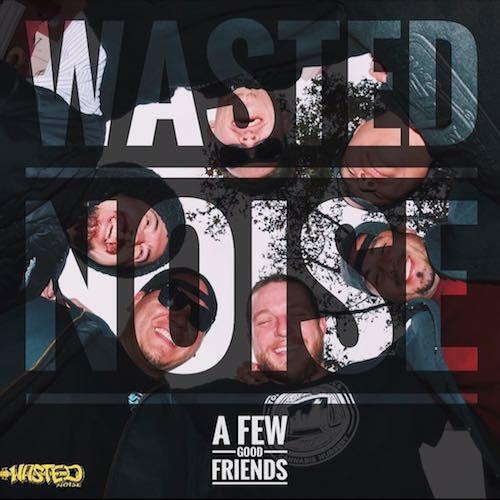 Wasted Noise Release Their New Album "A Few Good Friends"
Salinas, California band Wasted Noise have released their new album titled "A Few Good Friends". The album consists fo 9 tracks including their latest single "I Wanna Love You". To purchase the album click here. See below for tour dates and to listen to the album. Wasted Noise is a 6 piece Reggae Rock band based out of Salinas, CA. The band has been playing Venues throughout California since 2004. Wasted Noise's new album Barn Sessions has been spread out through the U.S., drawing new fans and receiving great reviews since its release date of May 2013 and even hit #2 in Reggae Billboard Charts. Wasted Noise has shared the stage with many big names in the Reggae Rock genre such as: Slightly Stoopid, Pepper, Rebelution, HIRIE, Fortunate Youth, Iya Terra, The Expendables, and Tribal Seeds to name a few and even performed on the main stages of California Roots Festival in 2011, 2012 and 2013. Our main mission is to get our name out there and spread positive vibes through our catchy music melodies.